Jim Savage's career has been a study in following one's dream and turning what you love to do into a living. Growing up in Saint Paul, Minnesota, Jim began playing music at an early age. His earliest musical memory is of strumming a tennis racket along to The Beatle's I Want To Hold Your Hand. Proficient on both guitar and piano, Jim became a recognized local talent in the Minneapolis music scene in the 1980's. Problems with alcohol and drugs led to dropping out of the University of Minnesota where he studied psychology and music education. After overcoming his addiction problem he returned to school and was trained as an alcohol and drug abuse counselor. In 1984 he went to work at Fairview Deaconess Hospital, a nationally recognized adolescent substance abuse facility. In 1986 he moved to Texas to become the first Executive Director of the McKinney Council for Chemical Awareness, where he continued to work with adolescents, providing student assistance within the local school district. In 1988 Jim suffered a relapse into his own addiction and began an experience that would change his life and reshape his professional future. The humbling experience of being an “impaired professional”, i.e. a drug counselor in rehab- caused him to recognize what had been missing for him personally, as well as professionally, with regard to recovery. 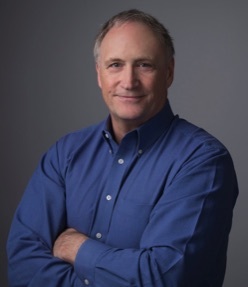 Following a dramatic life and death experience during a spiritual quest in the desert, Jim realized that one of the most important, yet perhaps least effectively addressed elements of recovery in traditional treatment models was in the area of spirituality, and he decided to direct the focus of his future work in that area. During the early years of his re-established recovery Jim embarked upon a path that led to studying and becoming trained in various spiritual traditions from around the world. Influenced by the work of Joseph Campbell, Robert Bly, and Michael Meade, Jim picked up the art of storytelling, and began to use the Hero's Journey as a metaphor for the recovery process. He began a prolific period of producing recovery related material. He wrote songs that became the rock musical now called The Journey. He made meditation tapes, including Hang Glider and Lifestream, which today are included as part of the Journey To Recovery Program. As he returned to work in treatment he began to incorporate music, meditation, storytelling and ceremony into his work. He eventually developed all of this into a comprehensive curriculum he called The Imagine Program. 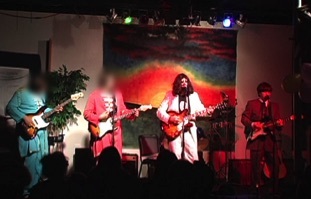 It was also during this time Jim started having some fun impersonating John Lennon, which led to the formation of A Hard Night's Day, a Beatles cover band that became quite popular in the Dallas area. Over the next several years he divided his time between implementing “Imagine” as a specialty program in various treatment facilities, and playing Beatles music. To satisfy another favorite musical style, in 1996 Jim formed Big Chief and the Boogie-Woogie Wigwam, in which he assumes a somewhat different persona as he rocks the keyboard in the Mardi Gras tradition of New Orleans piano players such as Professor Longhair and Dr. John. He continues to play with Big Chief today. 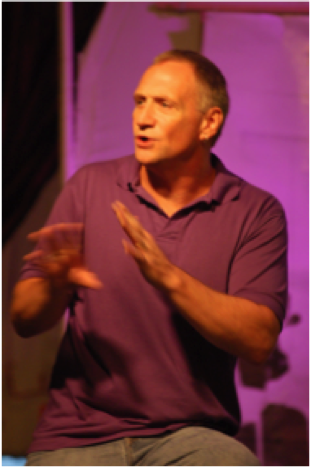 In 2000 Jim founded Imagine Programs, an independent treatment program for adolescents in Plano, Texas. Imagine Programs quickly earned a reputation as being highly effective, in part due to Jim's creative and non-traditional approach to substance abuse treatment. Firmly in his element, Jim created a facility in which the setting alone enhanced treatment, and a program that allowed him to utilize his many skills to their fullest—from leading drumming circles and advanced meditation work, to directing theatrical productions and “school of rock” musical activities with young people. The “ghost of John Lennon” is said to have even showed up at some of the Artist's Recovery nights. In 2007, Jim produced The Hero's Journey: A Storytelling Adventure With Jim Savage, a documentary that examines a fairy tale (The Gnome) from the perspective of the Hero's Journey. In it Jim discusses the role of artistic expression in shaping the mythology of the culture, and, in turn, the influence this can have in shaping attitudes and behavior, and the implications this holds for prevention and treatment services. In 2013 he opened the Dallas Recovery Center, which provided the opportunity to return to doing some of the group work and creative activities he had enjoyed during the Imagine years. This included music and creative drama programs, spirituality groups, and aftercare programming for teens with The Journey To Recovery Program. As a result of his increased focus on working with parents to improve treatment outcomes, Jim wrote Rehab Works! A Parent's Guide to Drug Treatment, which was published in March 2015. Today Jim divides his time between writing, producing, leading workshops, performing, and maintaining a private practice providing substance abuse services for teens and young adults. He conducts Spirituality & Recovery workshops and Rehab Works! family programs for several nationally recognized treatment facilities. The underlying theme of personal transformation and spiritual development makes his work attractive to many, not just those with addiction problems. His musical and storytelling performances make him a sought after presenter for conferences and seminars. Aside from his creative abilities, his experience in adolescent outpatient treatment has led to an expertise in this critical and highly specialized level of care, particularly in the area of assessment and working with parents of teens and young adults with substance abuse issues. Jim lives in Dallas, Texas with his wife Laura. He enjoys recording musical Christmas and birthday gifts for his four grandchildren, and heads to California to surf whenever he can. Click above to hear a little Beatles fun performed by Jim with young people in recovery. 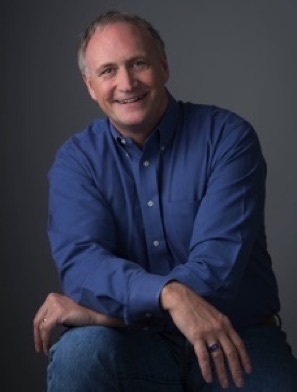 In 2010 Jim made the decision to sell his outpatient treatment business to get away from the administrative grind and be able to focus more his clinical work, writing, and program development aimed at mproving treatment outcomes by working with parents and providing treatment support. He created an educational program called “5 Things Every Parent Should Know About Teen Substance Abuse” and began to develop an intensive parent program that included treatment education and support groups. He also revised his previous Imagine Program curriculum by adding an evidence-based component featuring the Stages of Change Model and Motivational Enhancement. He called the new curriculum The Journey To Recovery Program.